Two more wrestlers from NJPW have been confirmed for November's ROH Global Wars tour. 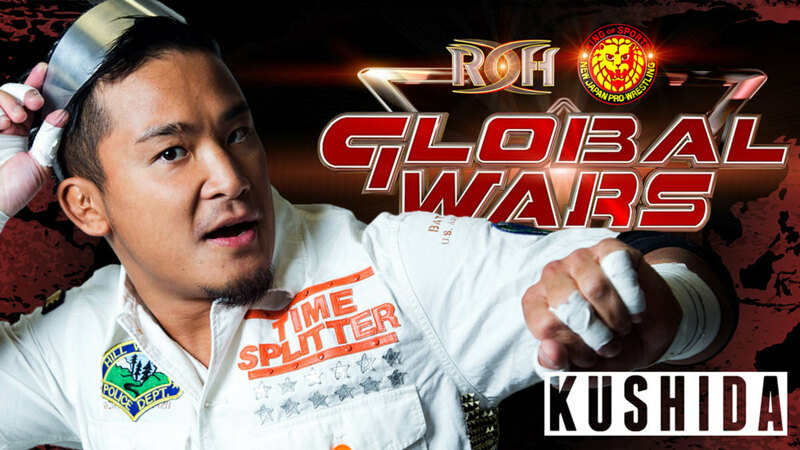 ROH announced today that KUSHIDA will be wrestling at the four Global Wars shows in November. BUSHI has also been added to the tour, with him joining fellow Los Ingobernables de Japon members Tetsuya Naito, EVIL, and SANADA. Earlier this week, Juice Robinson was also announced for the Global Wars tour. KUSHIDA last appeared for ROH at September's post-Death Before Dishonor television tapings, where he teamed with Jushin Thunder Liger against Jay Lethal & Jonathan Gresham. KUSHIDA faced Lethal at ROH's Best in the World pay-per-view in June and wrestled Gresham at a set of tapings after that PPV. BUSHI also wrestled at Best in the World and the June tapings. The Global Wars tour begins in Lewiston, Maine on November 7. There are also shows in Lowell, Massachusetts on November 8, Buffalo, New York on November 9, and Toronto, Ontario, Canada on November 11.